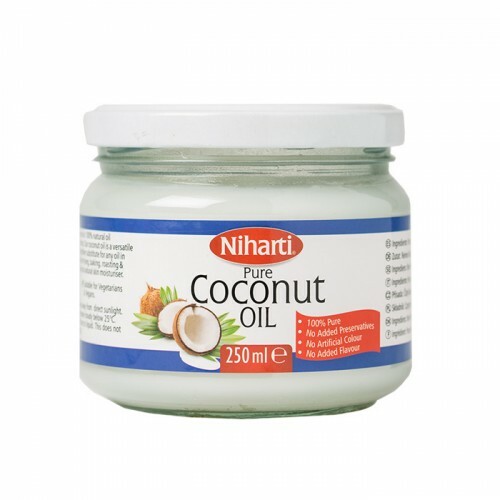 Niharti Pure Coconut Oil is 100% pure coconut oil derived from best quality coconuts is an all-purpose cooking oil ideal for use in cooking, baking, frying and seasoning. 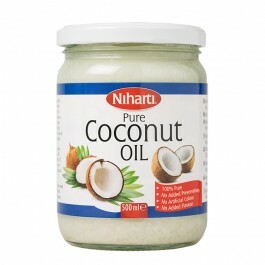 Coconut oil can also beused on hair and on the skin as a natural moisturiser. 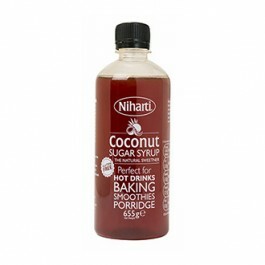 Directions for use: Coconut oil is perfect for use in cooking, baking and spreading. 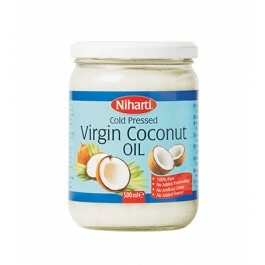 It is also ideal formoisturising hair and body. 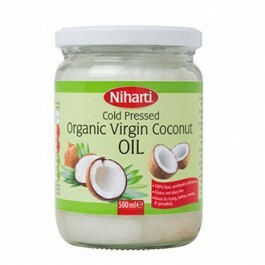 Niharti Virgin coconut oil is 100% pure coconut oil derived from raw coconuts through cold pressedte..
Creamed Coconut is widely used in South East Asian, South Indian or Caribbean curries, soups, andric..
Niharti Pure Coconut Oil is 100% pure coconut oil derived from best quality coconuts is an all-purpo..
Our cold pressed organic virgin coconut oil is made from the flesh of handpicked fresh organic cocon..
Niharti coconut sugar syrup is 100% natural and free from artificial colour and flavours. 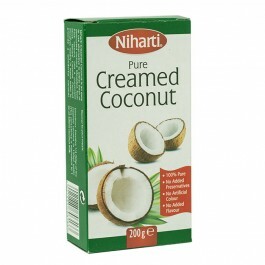 It contain..